Edwin A. Smith, M.D., F.A.A.P., F.A.C.S. 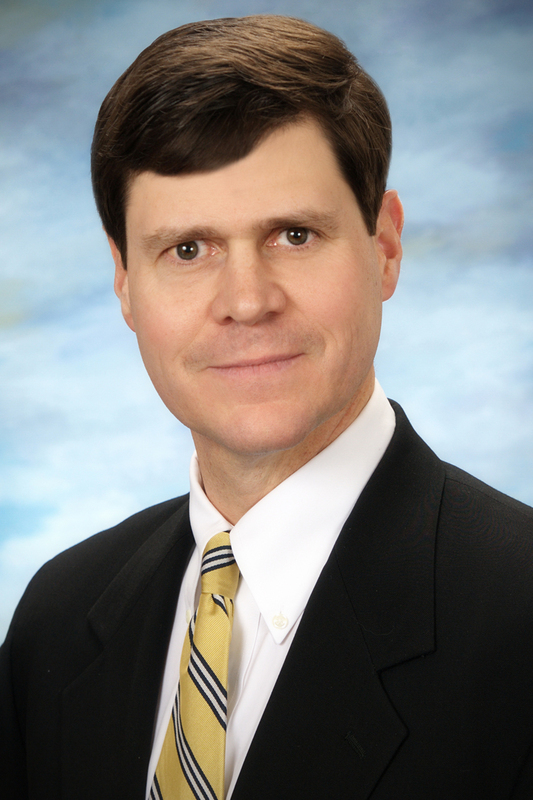 Dr. Smith is a board-certified urologist specializing in the practice of pediatric urology since completing his fellowship training in pediatric urology in 1996. He serves on the medical staff of Children’s Healthcare of Atlanta, Northside Hospital, Grady Memorial Hospital and The Medical Center of Central Georgia. Dr. Smith is a native Georgian from Statesboro and a graduate of Davidson College. He received his medical degree at Emory University School of Medicine. His general surgery internship and urology residency were completed at Emory University Affiliated Hospitals. As a chief resident he was the first recipient of the William H. Cooner Award for excellence in patient care. Dr. Smith completed a two-year postgraduate fellowship in pediatric urology at Egleston Children’s Hospital and Scottish Rite Children’s Hospital. Dr. Smith is a clinical faculty member at Emory University. He has served on various hospital committees. Dr. Smith is a fellow of the American Academy of Pediatrics and a fellow of the American College of Surgeons. He is also a member of several professional medical associations including the American Urological Association, Society for Pediatric Urology, and the Society for Fetal Urology. He has published numerous scientific articles and book chapters and has a special interest and broad experience in management of pediatric urinary stone disease and genitourinary reconstructive surgery. Dr. Smith is a fantastic doctor. He is extremely pleasant and explains everything in a manner that doesn't question your intelligence, but also doesn't leave you scratching your head when you leave. He is mindful of your time by being prompt for your appointments and quick during the session and exam, but thorough and caring enough to address all issues and answer all questions and concerns we had. I was not at all rushed or felt hurried, but I appreciated that my time was considered. I'm sure that all of the doctors at Georgia Urology and Pediatric Urology are great, but if I had to go again, I would not go to anybody else except Dr. Smith. Dr. Smith and his staff are amazing with my son. He has always went above and beyond answering any questions that we've had. He makes sure that we understand what our son's going through. Hands down one of the most professional and caring doctors I have ever experienced. He went above and beyond to care for our son. Dr. Smith is the best!! I love Dr. Smith! He is very professional and makes you feel very comfortable leaving your child in his hands. He explains everything in detail and will answer any questions you may have about anything. My child had surgery just Monday and the staff was phenomenal, he even came to the room and talk to me about the days event that was going to take place, in fact I just spoke to him through the 24hr on call service, he was very prompt at calling back an addressed all of my concerns. I just love Dr Smith. I recommend him 100% with out a doubt. My nerves were bad the day of the surgery but with the staff there and Dr Smith my blood pressure went back to normal, I knew my child was in good hands! Dr. Smith has a wonderful way of helping his patients and their families feel cared for. He explains things in great detail and was always willing to answer our questions even outside of our regular office visit. With our son's recent surgery, we felt very confident that he was being treated with exceptional care while Dr. Smith was with him. 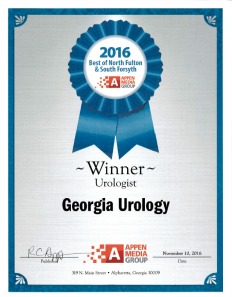 Dr. Edwin Smith and his staff at Ga Urology are THE BEST!! What a Godsend, my family and I are so grateful to have the privilege of being a client at the Glenridge location. From the very first visit to our most recent follow-up visit from our 6 month old son's surgery it has a very comforting and pleasant experience. You would never think your infants surgery would be described in such a way but it is the honest truth. I highly recommend Dr. Edwin Smith and Ga Urology! Our family is eternally grateful! God bless. The staff was very courteous and respectful for the procure my daughter was having done. thank you for making her feel comfortable when she was nervous ?? Great experience with Dr. Smith! Everyone was courteous, friendly, and thorough.